For use in all grain & partial mash brewing. In partial mash brewing will add body to yo..
For use in whole grain and partial mash brewing EBC 1300. Gives a rich black colour in Sto..
EBC 150. Adjunct for Bitters to give a darker colour, more depth and a roasted flavour. ..
British Caramalt, 500g, crushed. EBC 30 The palest of all crystal malts, this grain ..
Weyermann Cara Munich Malt, crushed, 500g. EBC 90. 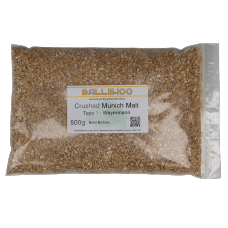 For use in October Beer, "Bo..
Weyermann Cara Munich Malt, crushed, 500g. EBC 120. For use in October Beer, "B..
Weyermann Cara Munich Malt, crushed, 500g. EBC 150. For use in October Beer, "B..
EBC 120 Use up to 15% in Dark Ale, Hefe-Weizen, Dunkel-Weizen and many other styles to ..
Weyermann Carafa Special Type 1, crushed, 500g. 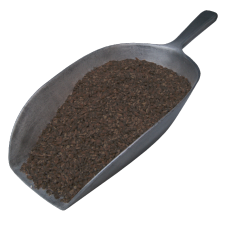 This exclusive malt is produced from de-husked ..
Weyermann Carafa Special Type 2, crushed, 500g. 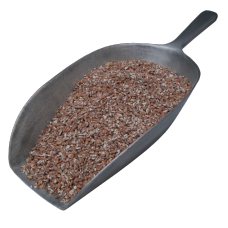 This exclusive malt is produced from de-husked ..
Weyermann Carafa Special Type 3, crushed, 500g. This exclusive malt is produced from de-husked ..
Weyermann CaraPils Malt, crushed, 500g For enhancing the malt flavour in German-style lagers. ..
Colours and flavours your brew. Ideal for Bitters, Milds, Porters And Stouts. Can be.. The basic malt for brewing lager. EBC 3. For use in all grain & partial mash bre..
Light Crystal Malt, crushed, 500g EBC 60 For use in all grain & partial mash bre..
Weyermann Munich Malt, crushed, 500g. EBC 15. For use in October Beer, "Bockbie..
Colours and flavours brews. Ideal for bitters, milds, porter and stouts. 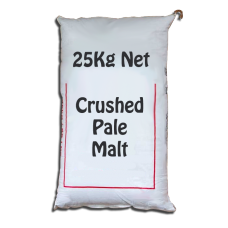 Recommended..
25kg sack of Crisp Malting Maris Otter Pale Malt- the base malt for many bitters and pale ales. .. Crisp Malting Maris Otter Pale Malt- the base malt for many bitters and pale ales. EBC 5. .. Malted oats. Enhances body and flavour of dark beers and gives a velvety texture. Ca..
500g bag of crushed, pale rye malt. EBC 6. Rye is a strongly flavoured grain and its..
Weyermann Premiere Pilsner Malt. The basic malt for brewing a superior Pilsner lager. For ..
Weyermann Premiere Pilsner Malt. 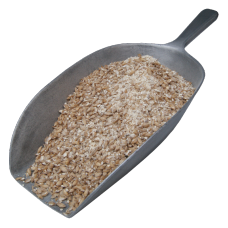 The basic malt for brewing a superior Pilsner lager. ..
Weyermann Rauch Malt - Smoked Malt - 500g EBC 5. As used in Smoked Beer, Lager "..
Unmalted Roasted Barley, 500g, crushed. EBC 1300. Sharp, dry bitter flavour. ..
500g bag of crushed, roasted rye malt. EBC 500. Adjunct for bitters, milds and stout..
Torrefied Wheat - 500g. 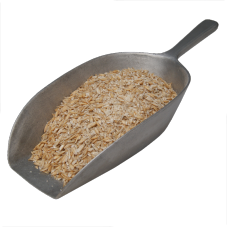 Achieves greater head formation and retention than standard wheat ma..
Unmalted wheat - crushed - 500g. EBC 3. As used in many Belgian recipes, adds better..
Often used to add a darker, aromatic, grainy character to lagers and ales. EBC 10. R..
Unmalted flaked barley. For use in partial mash and all grain brewing EBC 3. 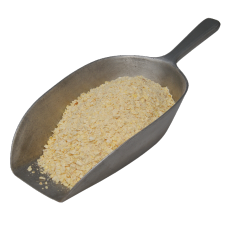 ..
For use in partial mash and all-grain brewing Flaked Maize is used to lighten the body of beers..
Unmalted, flaked oats. Can be added to the mash without pre boiling. 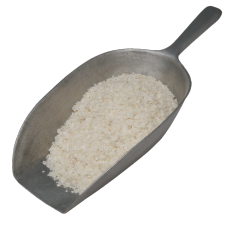 Enhances body, head retent..
For use in partial mash and all grain brewing Used mainly in lagers and light beers - lighte..
Unmalted flaked wheat. For use in partial mash and all grain brewing Enhances head f..